There was a family named Harris who lived in Minnesota. Howard and Jane Harris had three children, Michael, 13, Jacob, 9, and Sarah 6. The Harris' had been saving and dreaming about their long awaited trip to Disney. By the end of the month, they reached their goal for airfare, car rental, reservations at a nearby motel, and 5-day passes to Disney World. The children had additionally saved their own money to spend on souvenirs. It was an exciting day when they zipped up their suitcases and headed for the airport! The travel brochures were dog-eared and torn from repeated study. Michael had a map of the Magic Kingdom carefully plotted out for optimum enjoyment and minimal waiting in lines. The whole family had been watching the Disney Channel and intently listening to any and all travel reports of friends and associates who had been on the "big trip" before them. Only last week, Mrs. Harris had discovered the Disney internet site on her best friend's computer and printed out pages of additional information. They were ready . . . armed and dangerous. The weather forecast was perfect, and as the plane circled Orlando the family crowded around the little window and actually saw the EPCOT sphere in the distance. The plane landed without incident and the whole family shot out of their seats and were first in line to exit to the airport. Mr. Harris had studied the map of the Orlando airport and knew right where to go to get their rental car. Again, everything went smooth as silk. It was hard to tell who was more excited, the parents, or the kids. The flight had been late enough that the Harris' decided to save their passes for a full day in the parks. They made their way to the motel and settled in for the night, so they would be all ready for their first exciting day at Disney, first thing in the morning. The motel front desk rang their room at 6 AM, but everyone was already awake. The children had showered the night before, and Jacob had worn his pajamas OVER his clothes, so he could be ready faster! The motel offered a continental breakfast and the Harris' ate it in the car on the way to the Magic Kingdom. The weather was perfect. As hard as they tried to be early, there were already cars lined up at the parking lot booths, but it only added to their excitement. They parked in Daisy 3 and decided not to wait for the tram and walked straight to the entrance. As they got closer, they noticed the sprinklers were going on high, creating such a mist that they couldn't really see where they were going, but the crowds headed right into the mist and the Harris' shrugged their shoulders, took a deep breath, and plowed into the mist right after them. It was the strangest thing. As the mist cleared, the Harris' had a sensation come over them like they had just come inside from a strong wind, and when they got their breath, each and every one of them had no idea where they were, or why they were where they were. In fact, the large crowds of people they saw before them were milling around as bewildered as the Harris'. They knew each other. They knew they were a family. But they had no other recollections at all. Through the crowds they saw booths and turnstiles, but no one seemed interested in them. As they approached the first group of people, they overheard what sounded to be someone explaining what was going on to a new group of arrivals. Catching only part of the story they noticed that all around them people were discussing what was going on. It was hard to tell if anyone really knew what they were talking about. They heard someone calling out "Come and get it!" And as they looked in that direction they saw a large group gathering around a man with a little cart. More people started rushing to get closer and the Harris' felt something important must be happening over there so they quickly headed in that direction as well. The noise and mass of people made it impossible to see what was happening in the center but the Harris' kept making their way to the center. They started noticing people pushing back in the other direction with a tight grasp on a variety of trinkets and souvenirs. After several minutes in this pushing and shoving crowd, the Harris' found themselves at the cart just in time to hear the man say, "Sorry, I'm all out!" And before they could overcome their disappointment, everyone seemed to be moving off in another direction toward another man and cart. It soon became apparent that there were such carts coming and going throughout the whole area between the mist and the turnstiles. It seemed that everyone felt it was important to get to the carts and get as many souvenirs as possible, it became somewhat of a frenzy. The Harris' began to feel foolish to be empty handed. Mrs. Harris suddenly noticed that Jacob was no longer with them. She panicked. "Where's Jacob?" They all started combing the crowds for a view of Jacob and calling out his name. It wasn't long before this enterprising young man appeared out of the crowd, loaded down with armfuls of souvenirs. "Look what I got!" he announced, and the whole family ran to see all the stuff Jacob had acquired. "How'd you get all this stuff Jake?" Michael demanded. "I just squirmed my way through the crowds. Sometimes it pays to be little." Now the Harris' could walk with pride in their new t-shirts and mouseketeer hats carrying their stuffed animals and pennants and Goofy pencils. "I'm gonna get some more," announced Jacob, and Michael trotted off after him. "Hurry back!" said Mrs. Harris, though she wasn't really sure why. She noticed some people had found places to sit down, some even spread blankets on the ground and were eating. "I wonder where they got that food," commented Mrs. Harris to her husband. Before they had time to wonder too much, back came Jacob and Michael, with more souvenirs AND popcorn and soda for everyone. "Let's find a place to sit down," said Mrs. Harris. "I don't like popcorn Mommy! I want ice cream! Those people have ice cream!" Sarah pouted as she pointed to a group a few yards away. "Maybe they'll trade some of their ice cream for this popcorn," said Mr. Harris. The neighbors agreed and this little transaction was noticed by others and before long, everyone was trading their stuff for other stuff. Now the Harris' had a little piece of sidewalk they claimed as home, they had eaten and traded a little and wondered what would happen next. Jacob came back from another expedition and announced that he saw a couple guys in striped shirts and beanies come up to some man and lead him to the turnstiles. The man didn't want to go and yelled and kicked but they were bigger than him and had managed to get him through despite the fight he put up. The man's family cried and begged the men to leave him alone but to no avail. "That's terrible!" said Mrs. Harris. "Mommy, I'm scared of the turnstiles," whimpered Sarah. "Don't worry honey, we won't let anybody take you through those nasty turnstiles," Mrs. Harris said as she took Sarah into her arms just as she noticed men in striped shirts and beanies ushering off a woman in the distance. "I'm going to find out what's going on," said Mr. Harris. And he walked over to their nearest neighbors and asked what they knew about the men in striped shirts and the turnstiles. "Oh that's been going on all morning, haven't you noticed?" "We just found out about it, where are they taking these people?" "No one really knows," said the father. "Some people say it is a terrible place, but I heard one woman saying it was a wonderful place." "Well, I figure it is something to avoid,"said Mr. Harris and he went back to his family. "Where is Michael," he asked when he got back to the others. "He went off with Jacob a few minutes ago." "Well here is Jacob, and still no Michael. I'm going to go look for him, you all stay put." But before Mr. Harris could get ten paces from his family he saw a commotion ahead of him and there moving toward the turnstiles were two men with Michael between them. He was scared and not really putting up a fight. Instinctively Mr. Harris ran as fast as he could, shouting, "Stop! Stop! That's my son! Wait! You can't take him like that! Stop!" It was too late. Michael was gone. Mr. Harris was stunned. He went up to the turnstiles and paced back and forth, calling to Michael. But big panels with bright colored pictures blocked his view and he could not get a glimpse of what was on the other side. A woman came up to him and put her arm around him, trying to comfort him. By now, the rest of the family arrived and they all huddled together and cried. Mr. Harris was inconsolable, "I didn't think they'd take a kid!" he sobbed, "he was only 13!" As grief and fear engulfed this little family, Mrs. Harris noticed something pulling on her sleeve. It was Sarah. "Sarah, what do you want! Please stop that honey." "But Momma, I heard Mikey," Sarah implored. "Honey, Mikey is gone, you couldn't hear him." "Yes Momma, he's been calling to us." They just patted Sarah on the head and walked mournfully back to their little square of pavement. No one felt like eating. Even Jacob had no interest in searching for souvenirs. They all just sat on the ground, numb and helpless. "Mikey said to stop crying. He's happy, " whispered Sarah. "He said we needed tickets." "Sarah, honey, what are you talking about?" "I heard him Momma, Mikey said we needed tickets!" Mr. and Mrs. Harris exchanged glances. "What kind of tickets, Sarah?" "I don't know. That's all I heard"
"I know," said Jacob quietly. "What Jacob? What do you know?" "About the tickets. You get them from those booths over there." "But if you need tickets, why did Michael get taken? He didn't have a ticket." "What? How did he get a ticket?" "I gave it to him." "How did you get a ticket?" "Someone traded me for it. I already had three Goofy hats, so I said OK. Then I traded with Mike. I'm sorry Dad, I didn't know what the tickets were for!" Jacob collapsed into his father's arms, sobbing like a baby. Mr. Harris didn't know what to say, so he just hugged Jacob. "Do you think Sarah might have really heard Michael?" Mrs. Harris whispered to her husband. "I don't know. Just as Michael went through the turnstiles I got a glimpse of his face before he went behind those big panels." "Sort of . . . amazed." "No. It was like he was saying, . . . ‘Wow!'" "Jacob, honey, what else do you know about those tickets?" "Well, there's one of those booths, and people, not very many, but a few, stand in line and take this paper out of their pockets and hand it to the person in the booth and then they get this ticket." "Then what do they do?" "The men in the striped shirts take the tickets and let people into the turnstiles." You mean they force them through the turnstiles." "Well, some people, but others wait in line to go through the turnstiles." "Why would they want to do that?" "I don't know. The other people make fun of them and call them crazy. But they just ignore them." "Jacob, why did you take a ticket from someone if you knew they were for going through the turnstiles?" "I didn't know when I took the ticket. Someone told me about it after I gave it to Mike. I tried to find him and tell him to get rid of the ticket, but he had walked off by then." "Who told you about it?" "She told me that everyone was wrong about the turnstiles. She said no one understood what it was really like on the other side of those panels. She told me she had found a ticket and they came and got her and she started through the panels when they brought her back out and said her ticket was no longer valid or something." "Did she see what was on the other side of the panels?" "She said she did. But I didn't believe her." "Well, Jake, just tell us what she said she saw." "She said it was beautiful and everyone there seemed really happy. She said she felt really sad that she couldn't stay, and she wanted to go back but she didn't have a ticket and she didn't have any pockets or any souvenirs to trade." Mrs. Harris paused, then said, "Look in your pockets everyone. See if you have anything in them." Mr. Harris and Jacob both pulled out little leather folders. Sarah had one little pocket with a pack of chewing gum in it. Mrs. Harris didn't have any pockets, just a zipper pack wrapped around her waste. She opened it and found a plastic card, a bottle of Tylenol, and bottle of sunscreen. Mr. Harris opened his leather folder and took out several pieces of colored paper. "That's the stuff the people hand to the guys in the booths!" said Jacob. "I wonder how many tickets you could get with that paper," said Mrs. Harris. "What are you thinking sweetheart?" asked Mr. Harris. "You want us to go get tickets and follow Michael through those turnstiles don't you?" "Sarah said he sounded happy." "That's what she thought she heard." "And you said he said ‘Wow!'" "I said it looked like maybe he might have been saying something like that." "And the girl didn't want to come back." "Jane, you're grasping at straws!" "Oh Howard! You don't know why we're here! No one really knows! But that little girl saw what was on the other side. And why do we have that colored paper in our pockets when the only thing it is good for is to get tickets to go through those turnstiles?! And why do people line up for tickets and stand in line at the turnstiles by their own choice? Not one person in this crowd can tell us what is so awful about the other side! They are only scared because they don't know for sure. What if it IS wonderful!? Michael is waiting for us to come and be with him." She grabbed the folder and colored paper out of Mr. Harris' hand and started for the ticket booth. The rest of the family followed her, uncertain what was ahead for them. As she approached the booth, a woman came up to Mrs. Harris and handed her a brochure. It said "Disney World" on the front. "We are all here for a purpose. Read this, and you will understand," the woman said. Mrs. Harris looked down at the brochure. Something about it seemed familiar. She opened it and as she read, tears came to her eyes. Her family caught up to her as she held the brochure to her heart and wept. "Read this. Howard, we are going to get tickets." Mr. Harris looked at the brochure. It sounded too good to be true. "I don't know about this Jane." "Well I do. Please stop doubting. Michael is waiting for us. I just hope we have enough of this paper." Mr. Harris was not so confident as his wife, so he kept reading while she stood in line at the booth. As it turned out, they had more than enough paper for four more tickets. Still Mr. Harris felt uncomfortable. Then he saw a picture of Mickey Mouse in the brochure, hugging a little girl Sarah's age. 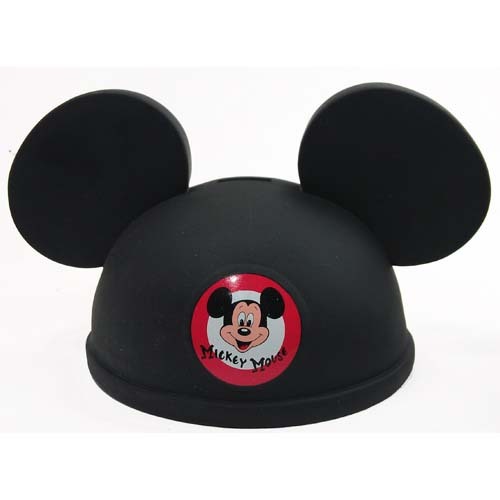 All around he saw the people with those mouse ears on their hats and shirts and on the big panels behind the turnstiles, and it all started making sense to him. 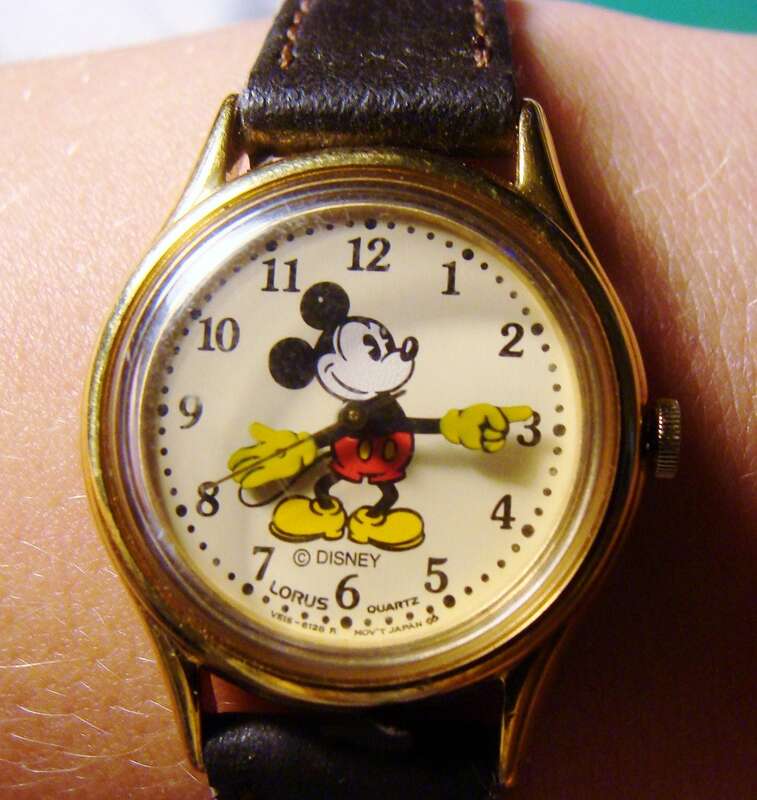 In fact, on his wrist was a watch and there on the face was that same mouse. It had to mean there was purpose in all this, that there was something more than this space between the mist and the turnstiles. When he finally came to this conclusion, he heard a faint familiar sound. It sounded like Michael. What can appear in life as tragic loss inflicted by an uncaring God, has a very different meaning from an eternal perspective. Don't forget why we are really here!